Military service members bravely dedicate their lives to serving their country, but for many, one of the most formidable missions they’ll face is the transition back to civilian life. 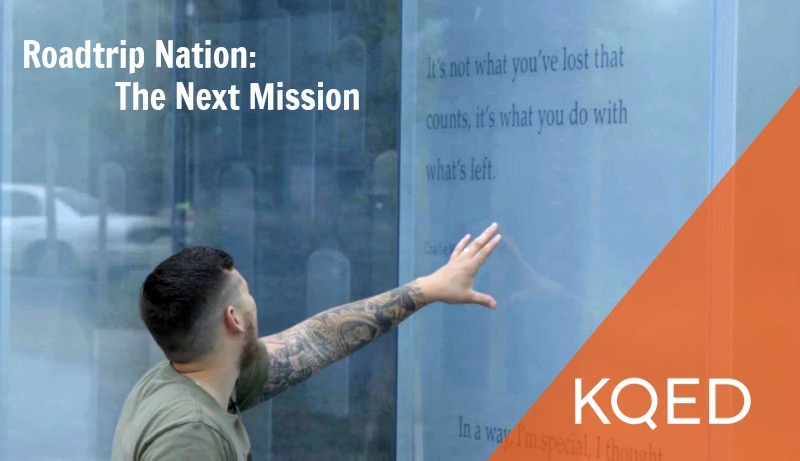 Roadtrip Nation: The Next Mission explores the personal and systemic issues facing veterans through the experiences of three transitioning service members from the US Army & Air Force. 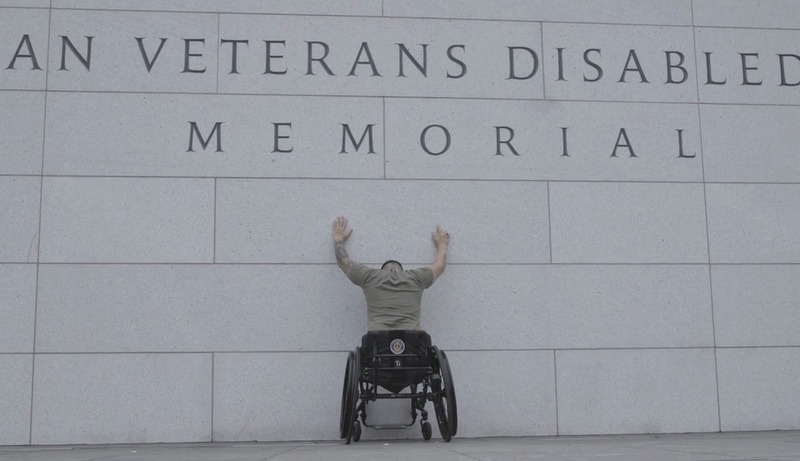 Sam takes a moment of silence at the American Veterans Disabled for Life Memorial in Washington, D.C.
With an estimated one million service members who will transition out of the military in the next five years, The Next Mission brings together military veterans in various stages of their post-service lives to discuss the unique challenges of re-entering civilian life. From nonprofit directors to sponsored athletes, each interview offers insight to the diverse career paths possible after life in the military. Trekking over 3,000 miles, the road trippers’ month-long trip introduces them to post-military careers they never knew were a possibility. 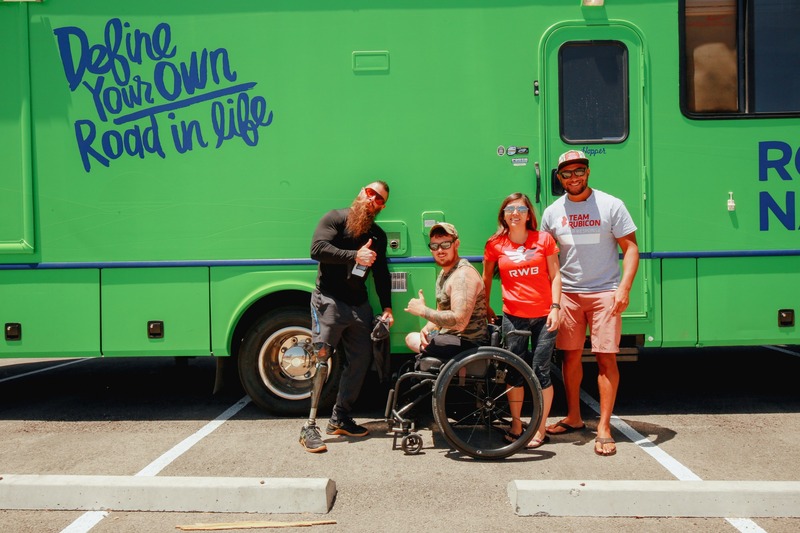 Interviews with fitness entrepreneur Derek Weida, skincare line founder Nicole Baldwin, author and businessman Robert Kiyosaki, and others, prove that the skills cultivated in the military aren’t relegated to the battlefield; they can be translated to exciting and meaningful jobs. While they’ve left combat behind, our courageous veterans are inspired to tackle a new mission: the fight to build a life of purpose, for which their greatest weapons will be their heads and their hearts. Helen Chandler, 33, knew exactly who she would be as a daughter of Air Force service members. “I’m a soldier, through and through.” However, after 15 years of service, she was forced to retire due to an injury that causes complex partial seizures. Helen longs for a sense of purpose and identity especially after the loss of who she was. Bernard Edwards, 35, joined the military in order to receive an education. For 15 years, he served in the Medical Service Corps while simultaneously earning his Bachelor’s and Master’s degrees. As someone who’s traveled from country to country as a child during his family’s dispatches, he seeks to apply his love for travel in his next career adventure.